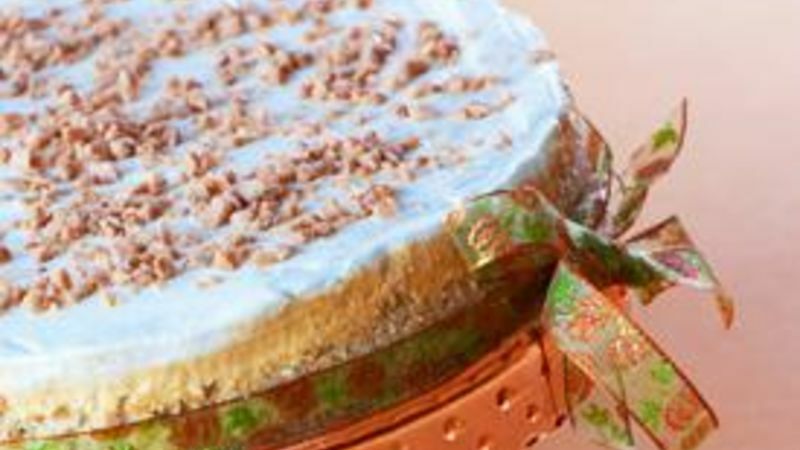 Set cream cheese at room temperature for an hour to soften. Melt the butter for the crust, then combine with crumbs and sugar. Press firmly into 9 inch sprinform pan, and place in refrigerator to cool and harden. Make caramel. Pour 1/2 cup sugar into a small, sturdy saucepan. 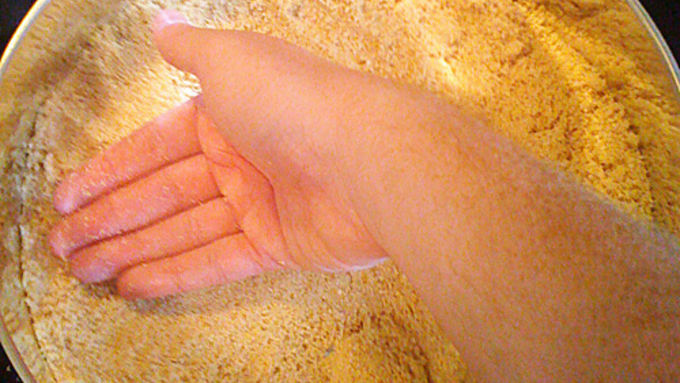 Cover sugar with enough water to rise 1/2 inch above the sugar. Add the lemon juice. Cook over medium heat until the caramel browns, removing from the heat slightly before desired color is reached. Allow the caramel to cool for a few minutes. 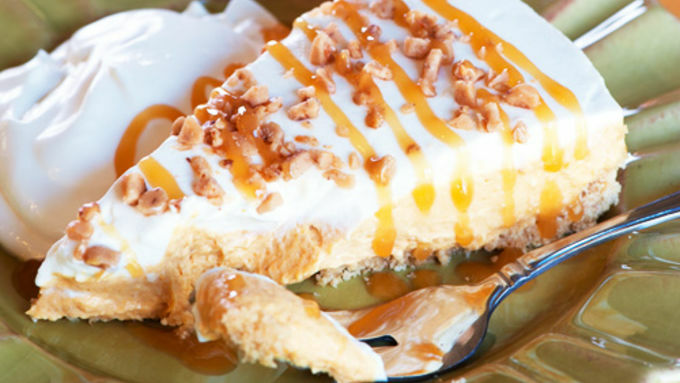 Combine caramel with the rest of filling ingredients and pour into prepared crust. Refrigerate for 3-4 hours. Top with whipped cream and toffee chips before serving.